This image, from the Style At Home booth at the Interior Design Show in Toronto, has been floating around the web for the past couple of days. The painted floor is amazing, as is the fabulous bright springy styling — a sign of things to come for those of us being socked by winter weather right now. 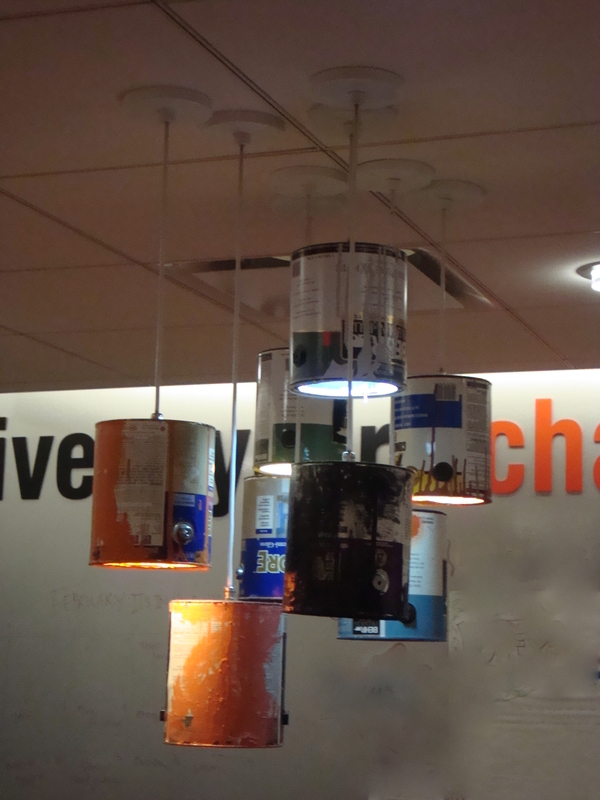 But what’s really terrific is the use of paint cans as lighting fixtures. It reminded me that I had recently snapped an equally cool use of paint cans as light fixtures…except this one was a little less sleek. Just as inventive though, don’t you think?